Family businesses come in all sizes, sectors, and from all regions. Two thirds of UK businesses are family owned – 4.8 million in total. And over 16,000 of these are medium and large businesses. Family firms survive over generations by taking a long-term and sustainable outlook, while adapting to stay relevant to the modern world. Whether you own a sibling start-up or a multi-generational company, if you’re planning on keeping it in the family, you are a family business. And if you are, you’ll probably be aware of the incredible benefits and opportunities of doing business with those closest to you. Family businesses are forward thinkers, and not just when it comes to the immediate future. They look at the long term and the wellbeing of the next generation. They’re innovative, but also value their heritage. And their care for people gives them a strong competitive edge. But there are also some challenges that come with being a family in business, and it’s important to be aware of them. Family businesses are more complex than non-family ones. As well as developing and managing the corporate side of things, you need to think about the family too. As families grow and change, so does their relationship with the business. That’s why setting up plans and processes for the family’s involvement with the business is key. You may think it’s too early or complicated to have formal structures in place, but it can help you avoid conflict in the future. Think about who the owners are and what their involvement is with the business. Even if not everyone works in the business on a daily basis, it’s important that everyone feels part of the common venture. Establishing a two-way communication structure is a good place to start. How does your family communicate with the business, and vice versa? And the interesting thing is that there are many opportunities for family members who don’t work in the business to still get involved. For example, they can help represent the family brand, or join in any charitable activities. Open discussion can help you understand what people want and find solutions that make everyone happy. Even if it seems daunting, or you think you’re too busy to think about it, planning for who will run the business after you is one of the most important aspects of family business. The truth is, there can always be unexpected events and shocks that might set the business back. Thinking about succession as early as possible is the key, as well as revisiting those plans if your situation changes. Planning for succession can be inspiring too – for you, and the next generation. After stepping down, you can still get involved in the business in many different ways. Such as, sharing your expertise or supporting future leaders. Remember – retiring does not necessarily mean you’ll stop being an owner, or that you will not be involved in your family business. Getting the next generation involved is an essential part of the process. But, there’s no one-size-fits-all way to go about it. Talk to younger family members and you’ll likely find that they’re interested in the family business. And often, if given the opportunity, they want to be part of it. Every family business is different, but they all face similar challenges. Whether it’s managing difficult relationships, developing your succession plans or working with non-family, you won’t be the first to have faced this challenge. The good news is, there’s a lot of help available. Talking to other business families, and hearing how they have overcome their own challenges, is a great way to help you solve yours. In other instances, it may be helpful to talk to experts or advisers, but ensuring you talk to the right people is crucial. 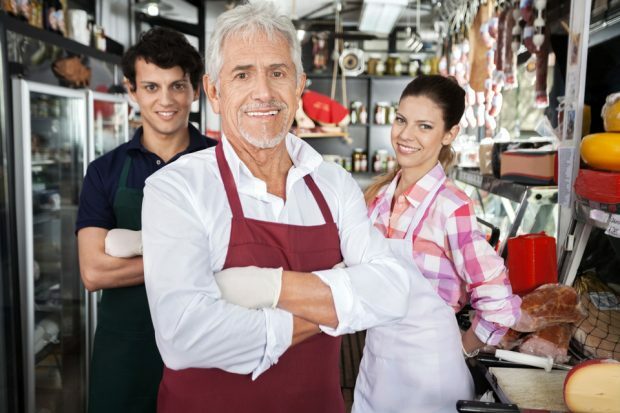 Family businesses have unique features, so before you engage an adviser it’s useful to make sure they have experience of working with family businesses, and you all understand what it is you are working towards. The Institute for Family Business (IFB) is the UK family business organisation. Our mission is to help family businesses remain successful for generations to come. We hold regular events around the UK on all aspects of starting, running and maintaining a family business. If you want more information you can contact us on 0207 603 6251.